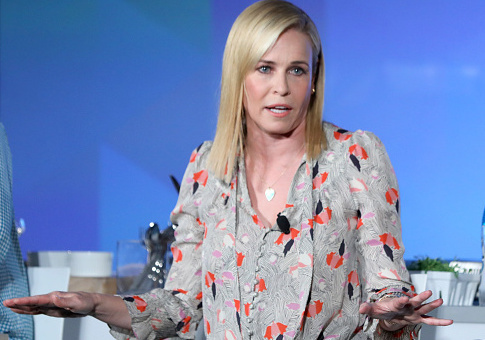 Liberal comedian Chelsea Handler said Monday that on Martin Luther King Jr. Day it is "up to white people to honor" the civil-rights icon, adding that they should "think about" what it is like to be another race. Handler, who is white, called King a "true hero" and commented on the spirit of the holiday named in his honor, before saying that the responsibility to commemorate the civil rights movement leader lies in the hands of her own race. "Happy Martin Luther King day to a true hero. This day means more today than it ever has. We all must honor the spirit of his fairness and equality and tireless search for justice," Handler wrote on Twitter. "It is up to white people to honor Dr. King, and to think about what it must be like to not [sic] be white." Happy Martin Luther King day to a true hero. This day means more today than it ever has. We all must honor the spirit of his fairness and equality and tireless search for justice. It is up to white people to honor Dr King, and to think about what it must be like to not be white. Handler received scrutiny last year after she claimed on her now-discontinued Netflix talk show that President Donald Trump has "racism in his genes" because his father, Fred Trump, was arrested after a Ku Klux Klan rally in 1927. The Washington Examiner noted that reports of Fred Trump being arrested at a KKK rally are misleading. Trump was arrested after a riot broke out during a 1927 Memorial Day parade in Queens for refusing to disperse when ordered to do so. He was later discharged. At the rally, "Klan members ignored instructions not to attend wearing their white robes," the Examiner reported, but it is unclear what role Trump played in the brawl. In the same episode of her show, Handler called Secretary of Housing and Urban Development Ben Carson a "black white supremacist," which she described as "black people who think white people are better than them." This entry was posted in Culture and tagged Chelsea Handler, Martin Luther King Jr.. Bookmark the permalink.